Remember that E-Tank loaded with classic series Rockman music? It's coming back! Sort of. Capcom has announced plans to reissue the ten disc set (sans E-Tank) at a lower price on October 29th. 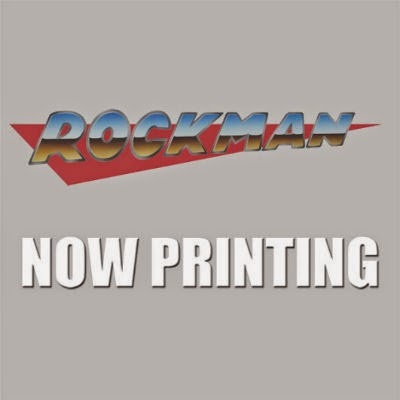 Dubbed "Rockman Sound Box", it will include ten CDs with music from Rockman 1 to Rockman 10. It will run you a cool 10,000 Yen ($100). Hit the jump below for the full track list. Alright, I'm being serious right now. Capcom should just announce a new Rockman title for some kind of major platform. Give it a proper title, and a (I don't know) teaser image. I don't care if they develop it, license it out, or produce the damn thing 5 years from now with no other content till then, but damn, just for the sake of hype and relevancy toward the brand, make something significant happen. Then Capcom, then I'll buy your rehashed soundtracks for a cheaper price. At least then I'll delude myself into thinking you're not just milking a dead cow. They want to capitalize off of the Smash Brothers hype without actually making a game. Re-re-rereleases and stuff like this are an easy way for them to do that. Or you could just play the games. Oooooh. Stupid Capcom. It would be nice if these were released digitally. Then I could listen to the tunes whenever I want. Geez, they didn't even bother to fix all the errors from the original. I bet it doesn't have anything resembling exclusive content.